Homeschooling is an educational choice surrounded by many myths and misconceptions. Even though this method continues to provide high national test scores and well-rounded, diversely educated children, many people still do not see the virtue of the choice. They often have preconceived notions about what goes on in homeschooling. Homeschooling is defined as instruction in an educational program outside of established schools. Homeschooling dates back to the 1960's with a counter-culture movement that soon fizzled out. The movement was rekindled in the 1970's after the Supreme Court upheld the decision that removing school prayer was not unconstitutional. This decision sparked the Christian movement to homeschool although, at the time, it was illegal in 45 states. While statistics do not show that violence is on the rise, it is hard to ignore stories in the news relating violent school events on a regular basis. Because of these perceptions of school violence, it isn’t difficult to understand why some parents want to educate their children at home. However, this is sometimes viewed as an attempt to shelter their children. Homeschoolers understand that sheltering their children would not do any good. They will still be exposed to the violence in the world through other mediums. Nevertheless, homeschooling does help to keep them safe by keeping them away from the current trend of school violence. 8.8 percent gave “other reasons” (Fagan, 2007). For my family it was a combination of the first three reasons—academic dissatisfaction being top—along with specific incidents that led us to decide to homeschool. Statistics do not speak favorably only about minorities but all students who homeschool, regardless of their demographics. The study “Strengths of Their Own: Home Schoolers Across America” completed in 1997, included 5,402 students that homeschool. This seems to be the case in all studies performed on homeschoolers; however, due to the lack of standard test practices in each state and no unbiased collection of these scores, it is hard to determine the exact average score for homeschooling families. Beyond the statistics, when someone talks about homeschooling, usually two points come up. The first is whether the parent is qualified to teach their child, and the second and possibly biggest question asked of homeschoolers everywhere is about socialization. Qualification is a big concern because opponents of homeschooling believe that parents do not have the ability to teach children like a certified teacher does. I do agree that teachers have accreditation beyond what typical homeschooling parents do, but I also believe that parents have the ability to teach a child any class that they would need, especially in the elementary years. Children have an ability in homeschool that is not available to them in a traditional classroom. If a student has a question in class, it might not be the appropriate time to ask the question, or the teacher might be too busy to answer. However, in homeschool if a child has a question, time can be taken to answer the question or look up the answer if it is unknown. Why would it make more sense to leave these important factors in a child’s life to a person who with be with him for only a year? Why leave those factors to someone who does not have time to develop the child’s strengths and weaknesses and provide one-on-one time with him? After all even Albert Einstein was homeschooled. With these classes—usually utilized in math or science but available in all subjects—students have the benefit of a teacher knowledgeable in the subject. Tutoring and access to the teacher for specific help are usually available. While I do disagree with the statement that parents are not qualified to teach their children, I believe that there should be end of year testing. This requirement is on a state to state guideline, and I believe that it should be made mandatory so that a parent can prove that homeschooling is effective for her child. If public school children are required to take these tests, then so should homeschoolers. These statistics show that state regulations on testing, on what degree of certification a parent has (which can range from no high school diploma to certified teacher to holder of a non-relational bachelors degree), and compulsory attendance laws all have no significance in regards to scores achieved on tests. The first definition is not applicable to education but the second and third are worth looking into. People believe that kids need socialization with other children in order for them to be productive members of society. I completely agree with that. I believe if you have a child who is homeschooled and is rarely in public, interacting with others, then I agree that you will have a problem with that child in years to come. That is just common sense. However, I do not believe socializing is fitting in with other children their own ages that have no moral compass, no sense of right, or wrong and no respect for teachers and authority figures. When children are young and impressionable, it is hard for them to tell which children to steer clear of, often until it is too late. This is where peer pressure comes into play, and children want to mimic their peer group’s behavior in order to fit in and receive group acceptance. “If this website encouraged home--schooled children to join after-school clubs at the local school, or participate in sports or other community activities, then I might feel different. Maine state laws, for example, require local school districts to allow home-schooled students to participate in their athletic programs” (Arnold, 2008, p. 1). There are two problems with his statement. The first untruth is that most homeschoolers don't want to participate in elementary and high school sports like this. There aren't legal requirements in each state allowing them to so in states without laws it is based on the individual school board. The problem with this is that school boards sometimes do not allow homeschoolers to participate in their organized sports, whether due to lack of funding or discrimination. lessons such as dance and karate. Many public libraries, museums, gyms and other community groups and businesses offer programs and classes, catering to the growing number of homeschoolers. (Fagan, 2007) This usually allows more avenues for education as well as opportunities for homeschooling families to get together. Socialization is a very important aspect in every child’s life. However, homeschool graduates that have been exposed to these avenues of socialization have shown just as much ability to survive in and contribute to society as their public school counterparts. Homeschooling is a viable option to those who feel that their children aren’t learning enough, are falling prey to peer pressure, or are exposed or susceptible to too much violence in school. Homeschooling has statistically proven over time that it is a method of education that succeeds with test scores surpassing those in public schools. Homeschool graduates have proven themselves in the college arena and beyond. The questions of qualification and socialization are often argued, but as you can see have no solid facts to stand on. As long as the test scores of those students whose parents are not certified teachers remains higher than public school children, no one can argue for higher qualification regulations. Even though the socialization of homeschoolers does not fit in the standard box of a public classroom setting, it is proven to be just as effective if not better in providing quality (not quantity) socializing opportunities. The results speak for themselves in the long run. Black flight—to homeschool (2006, March-April). Practical Homeschooling 69. 8(1). Retrieved March 2, 2006, from Gale database. Duvall, S., Delaquadri, J., & Ward D. L. (2004, Wntr). 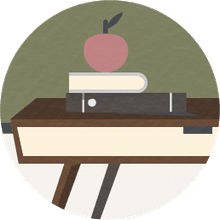 A preliminary investigation of the effectiveness of homeschool instructional environments for student with attention-deficit/hyperactivity disorder. School Psychological Review, 331; 140(19). Retrieved March 2, 2008, from Gale database. Fagan, A. (2007, November 26) Teach your children well; with new resources, home-schooling numbers grow (page one)(special report). The Washington Times, A01. Retrieved March 2, 2008, from Gale database. Greene, H. & Greene, M. (2007, August). There’s no place like home: as the homeschool population grows, college and universities must increase enrollment efforts targeted to this group (Admissions). University Business, 10.8, 25(2). Retrieved March 2, 2008, from Gale database. Neal, A. (2006, September-October) Excelling in and out of the home, homeschooled kids are thriving across the country. Students demonstrating exceptional academic honors are capturing top slots at national competitions. Saturday Evening Post, 278.5, 54(4). Retrieved March 2, 2008, from Gale database. Ulrich, M. (2008, January) Why I homeschool: (because people keep asking). Catholic Insight, 16.1. Retrieved March 2, 2008 from Gale database.